This is exactly something I would do. Everything is better when deep fried. Fortunately for me, DudeFoods already found the problem areas and how to implement this correctly, so that means even less work for me. I actually prefer the idea of having the jelly as a dipping sauce instead of mixed directly into the fried bread balls. This means controlling exactly how much sweetness gets added each time and there’s the added bonus of choosing some nutty, fried goodness without any jelly at all. And then there’s the added bonus for someone who is as indecisive as I am and who loves using different sauces: I could easily have 3 different jams or jellies out with these and then pick and choose which to dip in! Peanut butter and jelly is really not something I mess with. I might try a new flavored jam. Or I might mix it up with crunchy versus smooth. 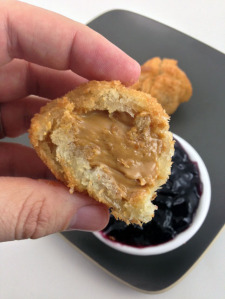 I may even cut a mass set of sandwiches into different shapes or use the peanut butter and jelly combination in a different dish (like for PBJ cupcakes). I don’t really stray from just peanut butter and jelly together, though. You won’t see me adding bananas. And while honey works well with peanut butter, that’s an entirely different combo entirely….and it won’t be put on my bread and eaten as if it’s an alternative to PB&J. I do find the above a bit interesting, but I don’t have much interest in eating it….especially since it seems to me like some of the sections have way too much spread (I’d cut that Nutella layer in half!). Having a different taste for every bite is a cool idea….9 different combinations possible! It’s the grey area that has me curious (disgusted?) though. 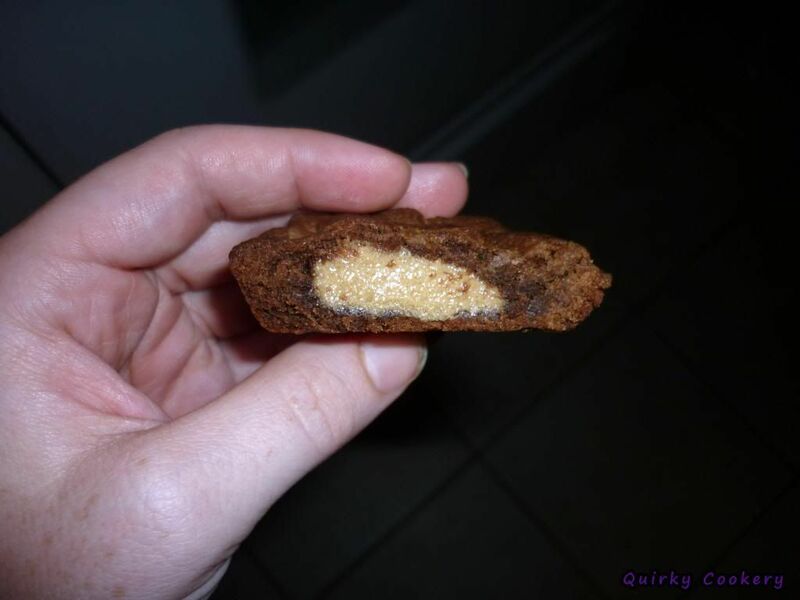 What happens when you can’t get all of a particular combination into a single bite and the rest start mixing together? 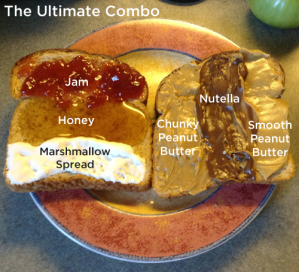 What does chunky peanut butter, Nutella, honey, and jam end up tasting like? Or honey, marshmallow spread, and chunky peanut butter? Maybe it’s amazing! Or maybe it’s an overload of sweet condiments that are better served in desserts than on bread. 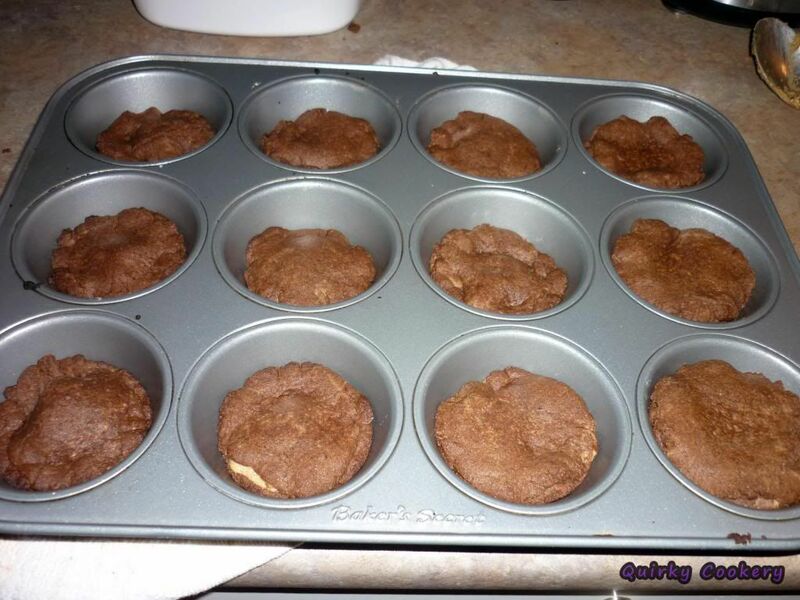 You really can’t go wrong with combining peanut butter and chocolate. Well, I guess you kind of can if you’re the type of person who hates chocolate (shame on you!) or you have a fatal peanut allergy…. But outside of that, chocolate and peanut butter just work. 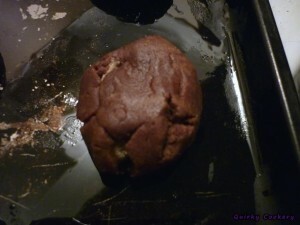 This weird brownie cookie, peanut butter stuffed creation was no exception to the rule either. 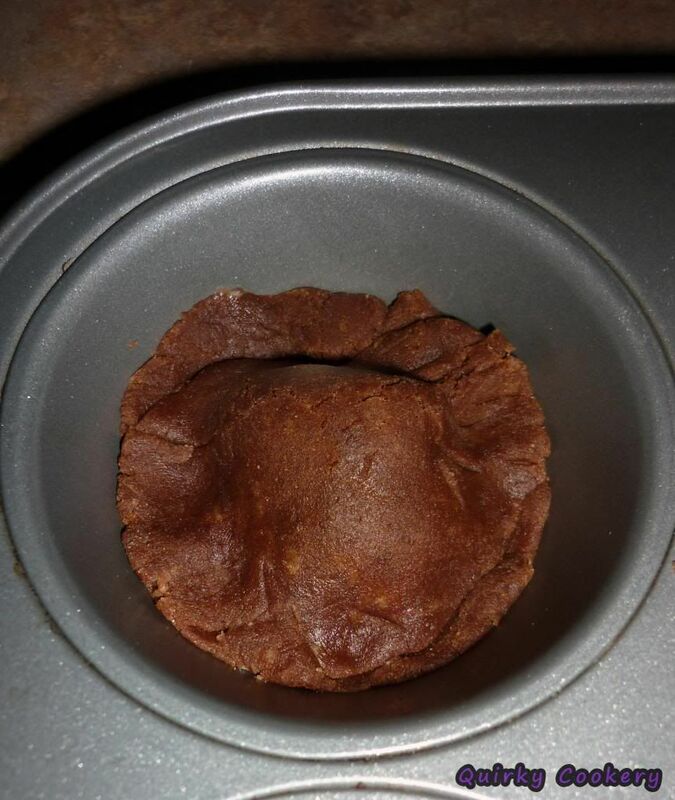 Unfortunately, I don’t have a recipe for these, though. They were inspired by some long-forgotten chocolate cookie I found online, but during a heated moment of peanut butter craving, I tried stuffing them with a peanut butter and powdered sugar filling. 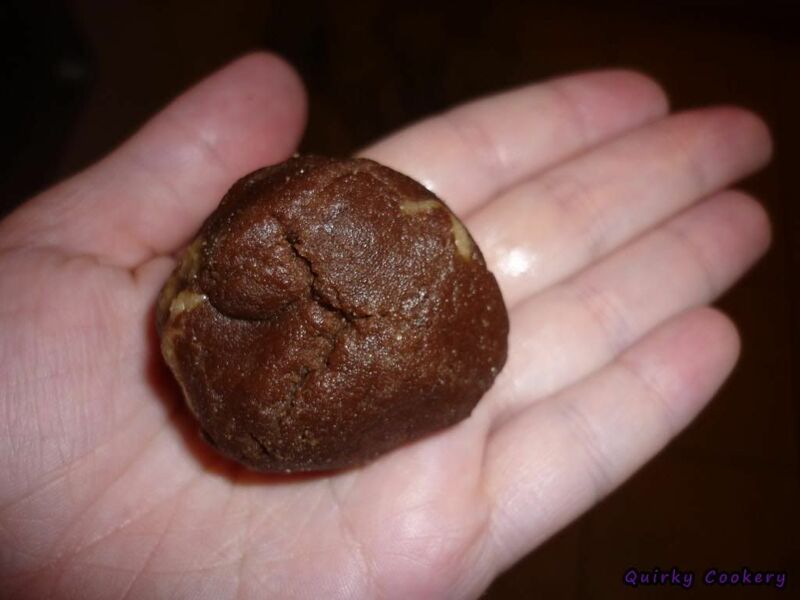 I quickly realized that trying to create a pocket in the somewhat-dry cookie dough and then filling it with peanut butter was rather tedious….not to mention kind of messy and ugly. 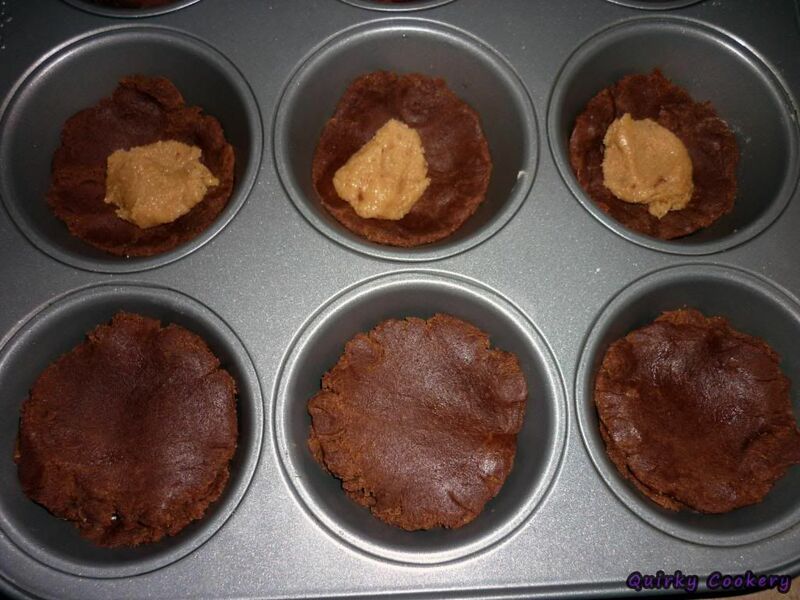 And because I wanted cookies *now*, I moved to creating a base and “top” out of cookie dough and dropping dollops of peanut butter in the middle instead. The result wasn’t really any prettier, but it did seem a lot faster and easier. And the result was tasty regardless. They look drier in the pictures than they really were. 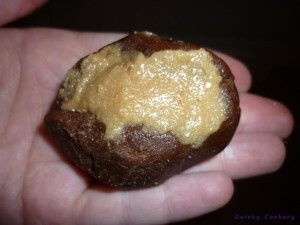 The oil from the peanut butter soaked into the surrounding chocolatey goodness, leaving an almost brownie-like coating around the peanut butter center, but with crunchy edges. 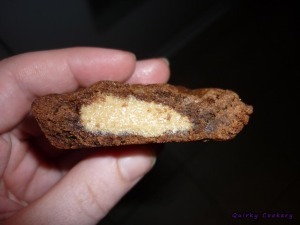 They were the perfect blend of brownie/cookie with ooey gooey peanut butter in the middle. 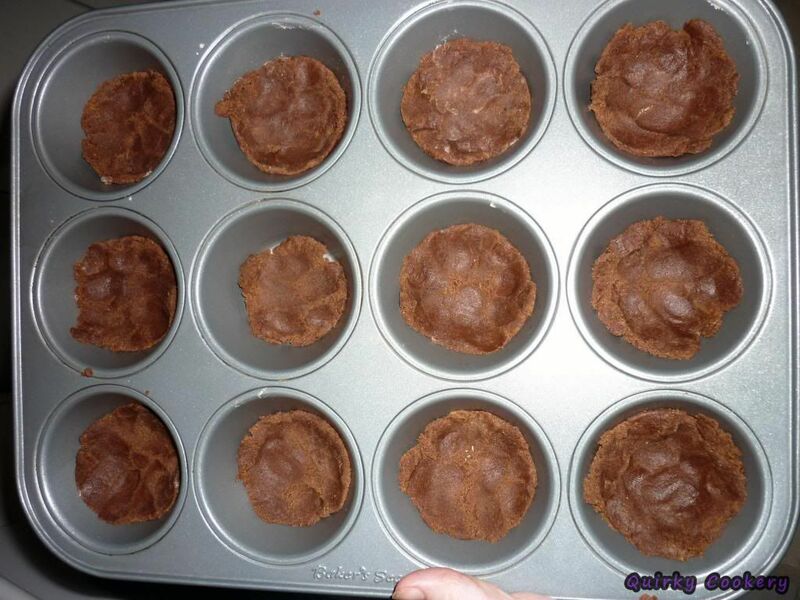 If you’re the type who likes the chewy edges on brownies, but a soft middle, these are wondermous. It’s a shame I didn’t record the ingredients I used at the time, but oh well.